Today we are featuring one of our very own freshman blogger’s story of how he decided to attend Mudd. Enjoy! Hello! Mason here talking about my college decision! You can be happy and successful with whatever decision you make. Wherever you decide to go for college, be it a small, expensive liberal arts college, your local community college, a big public university, or anything in between, you can be happy and successful. There’s no ‘correct’ decision. Wherever you go, you can make friends, you can adjust to the academic rigor, you can find things you enjoy doing, you can find opportunities to be successful. There’s no perfect college where the stars align and everything you’ve ever wanted is presented to you on a platter. There’s also no terrible college where you despise everything and everyone that you encounter. So, while your decision about where to go is important, I’d argue that the things you do there are even more important. That being said, I thought I’d share some of my “College Decision” story and why I ultimately chose Mudd. My senior year of high school, I applied to 9 or 10 schools. I applied to some big public schools, some “reach” schools, and a few others. 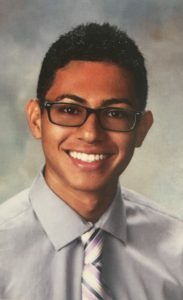 After decisions came out, I pretty quickly narrowed things down to 3 schools; they were all good schools, and I knew that I wasn’t making a bad decision wherever I went. Nevertheless, I made my decision right before the deadline. I sort of coasted through most of high school. I did put in time doing homework and studying, but I definitely wasn’t working as hard as other people around me. So, when it came to make a decision, I thought I should choose a college that would challenge me, that would force me to struggle. I thought it would be valuable life experience to be bad at things and have to work to get better at them. I’ve always loved STEM subjects, and I knew I wanted to study nerdy sciency and mathy things. Despite that, I wanted the opportunity to take non-STEM classes in English, social science, and art. Why? Well, it’s kind of like taking medicine – I personally don’t always find it pleasant, but I know it’s good for me. As a future engineer or scientist, being able to articulate my ideas clearly is important. Understanding social issues is important, because my work will ultimately become a part of society and affect other human beings. And while it might be a bit of a stretch, I believe that better understanding art and literature can help me better connect to my fellow humans. For those of you who don’t know, Mudd has an HSA (Humanities, Social Sciences, and Arts) requirement. By going to Mudd, I’d force myself to take a breadth of HSA classes and pursue depth in at least one subject, which I might not do on my own. I knew that by coming to Mudd, I would get hands-on experience working on real projects in my field of choice through the clinic requirement. I would be able to take knowledge from a classroom, and apply it to build something tangible and real. I also be able to participate in research if I wanted to. In fact, I’m doing physics research this summer! I have no idea what research will be like, but the fact that I can be involved in the development of new knowledge, even if it’s in a small way, is super cool to me! Not only are Clinic and Research super cool on their own, but I also want to have some experience doing real-world work, so I can make a more informed decision about what I want to do after Mudd. Also, Clinic and Research will definitely help with job placement after graduating. Great thing to have on the resume. This is related to the above point about clinic and research opportunities. In general, being at a small school like Mudd means that opportunities and resources are more easily accessible. By ‘resources and opportunities,’ I’m not talking just about academic/professional opportunities. I’m also talking about things that you’d be able to benefit form socially, mentally, or physically. In addition to tutoring services or job fairs, I’m also talking about club fairs, counseling, or exercise groups. At a large school, you might have to do some work to go out and find those ‘resources and opportunities’, whereas smaller schools will generally present them to you. In fact, before I even decided to come here, I got an email from a Mudd math professor, asking if there were any questions about HMC he could answer that might help with my decision. I emailed him back with my questions, and the next day he answered them. That kind of individualized support that the school provides to you is exactly the kind of thing I’m talking about. This is only one difference between small schools and large schools, and is definitely not a universal truth about all colleges/universities, but it was something that I thought about when I made my decision. After getting in to Mudd, I decided to go to the Admitted Students Program (ASP) where students who’ve been admitted get to spend weekend on campus doing activities, meeting people, and going to classes. Once I went to ASP, I was pretty much locked on Mudd. The people I met were very warm, welcoming, nice, and fun, and I left with a great impression of the people at Mudd. My high school friends say I was ‘glowing’ when I talked about my time at ASP and the people I met. Those are the reasons I decided to come to Mudd. For those of you who are making your decision, I hope this post helps you out in some way.  If you want to talk to more people about anything Mudd related, you can ask us on Mudd’s Facebook page.